To work with Allan was a dream of mine. 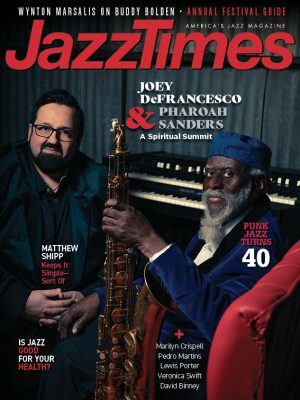 The first time I saw him play was in New York, with the New Tony Williams Lifetime. Fatefully, I ended up a short time later in a band that opened for the New Tony Williams Lifetime, and met keyboardist Alan Pasqua, which led to meeting and later working with Allan. He was unworldly and magical. He possessed a one-of-a-kind voice as a composer and musician. He was a musician’s musician. He was a visionary who was also unselfish, painfully humble and deeply soulful. He was an inventor with a distinctive, iconic and extraordinarily interesting, complex personality. With an infectious laugh and an intellectually hilarious sense of humor, he gave us joy, emotional healing and a sanctuary for our deepest emotion through his music. Here are sentiments from five accomplished musicians who are very important to Allan’s legacy. In closing, I have to add that this is just a thumbnail tribute to the man, his music and his craft. My hopes are that this tribute reaches all who are interested in perpetuating his spirit. 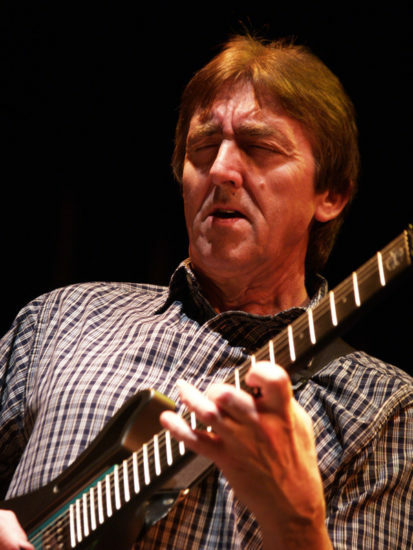 Future generations in search of inspiration will find it in Allan Holdsworth’s music—a key to their ultimate progression as musicians and composers. I am forever grateful.